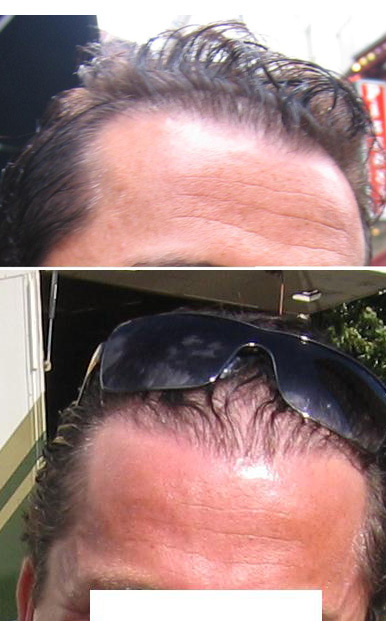 Procedure carried out by dr. De Reys at Prohairclinic. Patient had 4 smaller strip surgeries, totalling 2800 grafts. 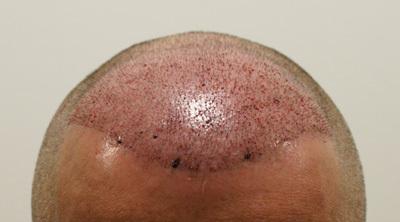 It left him with major donor scarring, the frontal area was still sparse. As the patient walked in completely shaven at surgery date we can only produce his own before pics. 100 grafts where placed into the scar, he reported that there is good growth. He will be back for placing more grafts into the scar, at which we will be able to verify the yield. This is a 1 day procedure, intermediate results after 6 months.